We are looking to work with people who are driven by the madness that takes people outdoors. Read on to get the drift! Campmonk aggregates campsites and outdoor experiences. We are a travel startup that envisages to get more people outdoors. We love camping, trekking, road trips and basically anything that takes us away from the craziness of the city. Through our platform www.campmonk.com we encourage enthusiasts to discover campsites and for enthusiastic property owners to find campers. In CM language: Find places that you think you would enjoy as a camper and tag them. Gotta catch them all. In CM language: Make Excel your best-friend and fill up all the rows and columns with star data. In CM language: Keep them coming back for more campsites. -Pivotal support to the team during events, building the community etc. 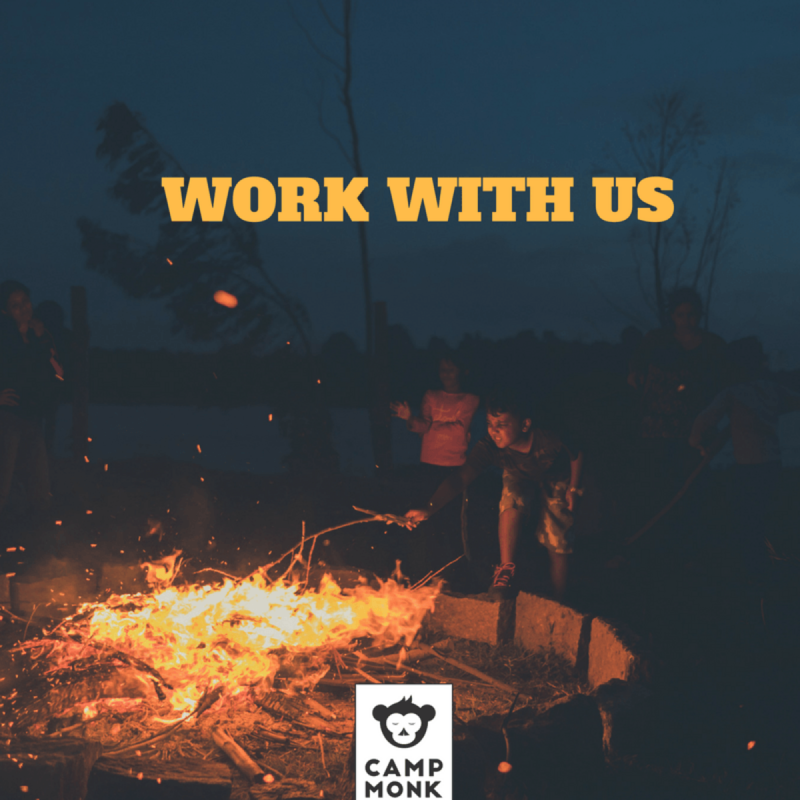 In CM language: Come camping with us, scout and pitch into all Campmonk efforts when necessary. This is where most fun happens. -Are you available for a full time (in and out of office) work gig? -Can you start in December? -Are you keen on interning for this role with us for a short while or working with us for longer as an employee? Location: We are located in Bangalore when we aren’t out camping. We’ll be quick to revert. Send us that email already potential teammate!